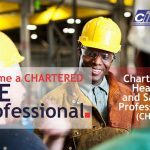 – There are no academic requirements to join this CIEHS HSE Level 1 course, but this stage is meant for ‘O’ level student or GSCE holder. 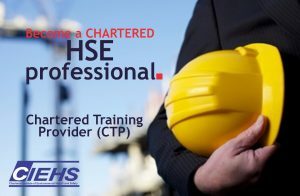 Exemptions: – Diploma holders or its equivalent are exempted for CIEHS HSE Level 1. Advance Diploma, HNC/HND, B.Sc, BBA, BA, Masters Degree in Non – HSE Discipline. Exemptions: – The degree holders are exempted from the CIEHS HSE Level 1 and CIEHS HSE Level 2. Entry Qualifications: – CIEHS HSE 3, B.Sc, Masters Degrees in Health, Safety and Environmental related disciplines. Exemptions: – The above Degree holders will be exempted from CIEHS HSE 1, CIEHS HSE 2, and CIEHS HSE 3. 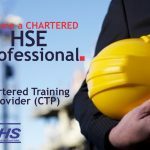 Certificate Awarded: – All successful candidates will be issued Chartered Environmental Health Professional or Chartered Health and Safety Professional certification depending on the selected scheme or options. Students shown in this search have satisfied the requirements of the institute as laid down by the membership committee with all rights and privileges appertaining to this distinction for a period of three years, following this formal declaration of the Institute and has also demonstrated compliance with the institute’s standard of excellence and global best practices.